As the new owners of the Livingston Inn Motel & Laundry our goal is your complete comfort and satisfaction. We are #1 with TripAdvisor under motels for Livingston. Our guests are treated with an honest hospitality from the moment you register and continues through the time you leave. We are committed to making sure your stay with us is pleasant and enjoyable and that you know you are our priority. We hope we can exceed your expectations and be the place you choose to return to as well as recommend to your friends. 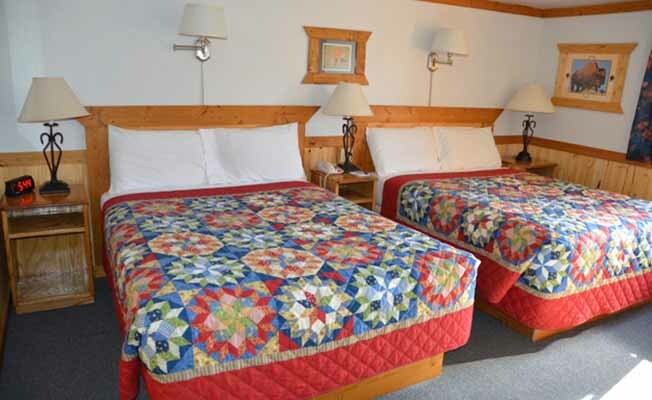 Our rooms have been upgraded with new beds to ensure our guests with sheer comfort, we went an extra step when ordering our beds to get a higher quality padding and quilting to our mattresses. We also have new fluffy pillows and extra thick towels. Rooms have new 32-inch color televisions with remote control and DVD. Other room amenities include in-room coffee service, free US and Canada calls, cable television and air conditioning. We welcome pets in most of our rooms. 14 newly remodeled rooms this year and our hallways have 115 wildlife photographs. For our guests we have a laundromat on-site that offers a comfortable and clean place to catch up on your laundry needs at your convenience. Free Yellowstone maps and directions are available to our guests as well as Montana maps and postcards. We'll also provide directions to some of Montana's best kept secrets. If there are specific questions we can answer or to find out more about making your reservations; please feel free to contact us. We look forward to greeting you in the near future.